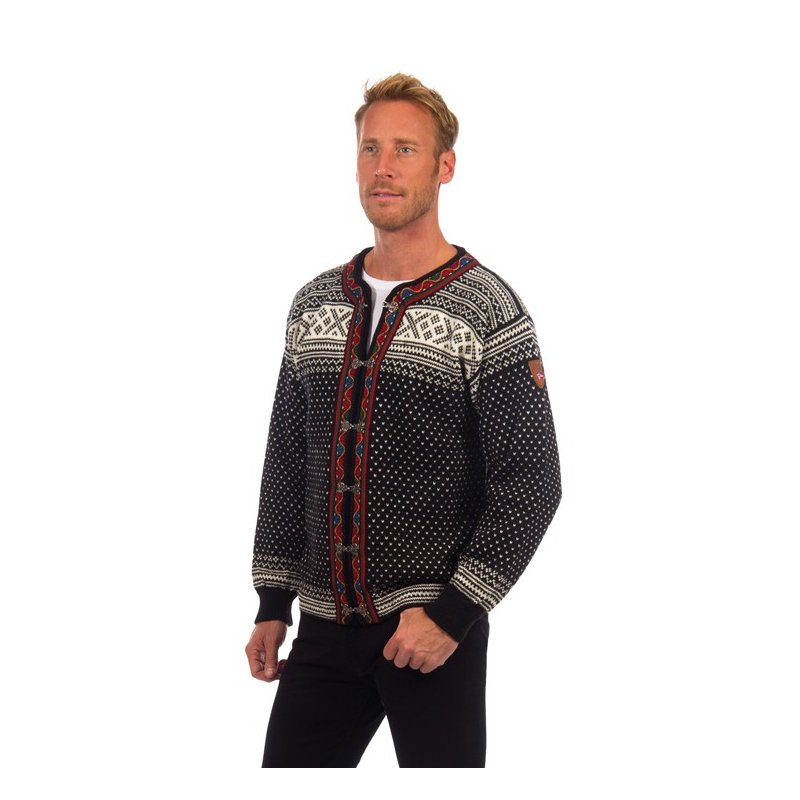 The authentic Dale of Norway look! 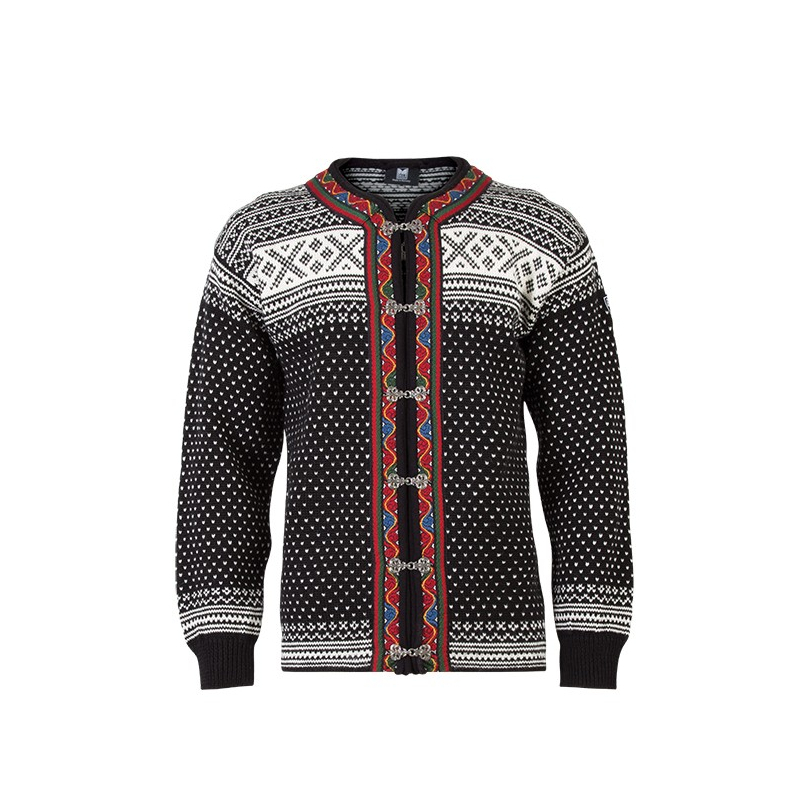 The Setesdal design evokes history and memories, it is the most recognized Norwegian pattern and has been knitted for generations. 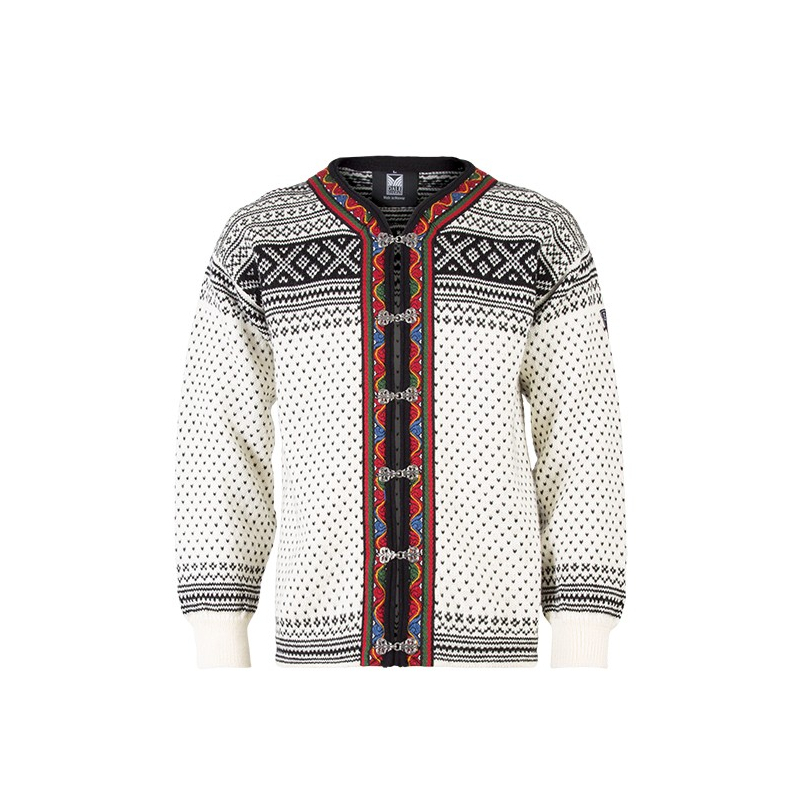 This is the original design that started the Norwegian sweater category. The small v-shaped dots are known as the “lusemønster” (lice pattern) while the crosses were believed to protect from evil spirits.